How can I avoid dust and bubbles when installing window film? I always get some kind of flaw when applying window film. Obviously I've read the instructions, watched diy videos, and even asked for advice before. I have changed up my technique as a result but I'm still getting flaws. Here are some pictures of my progress and current methodology. I’m getting better but the final results are still far from perfect. You can’t see it in the pictures but there are some flaws. Flaw type 1 is just regular air bubbles that you can press down on to eliminate. Flaw type 2 is a “hard” air bubble. I assume flaw type 2 is from a spec of dust but I don’t see any dust when I get my eye really close to it. …it just looks like an air bubble. Finally, flaw type 3 is the rainbow discoloration on the film. I had assumed this would go away when I wiped the mirror down with glass cleaner but it’s still there. You can actually see this a little bit in the picture. But in real life it’s unbearable, at least to me. I have a USB microscope which I might use to try and get a better idea of what’s going on with flaw type 2. I will probably try poking the flaw type 2 that is on this mirror with a needle to see if I can remove it that way. But if/when that doesn’t work I guess I’m just going to keep trying? I’m really not sure what to do if the problem is dust. 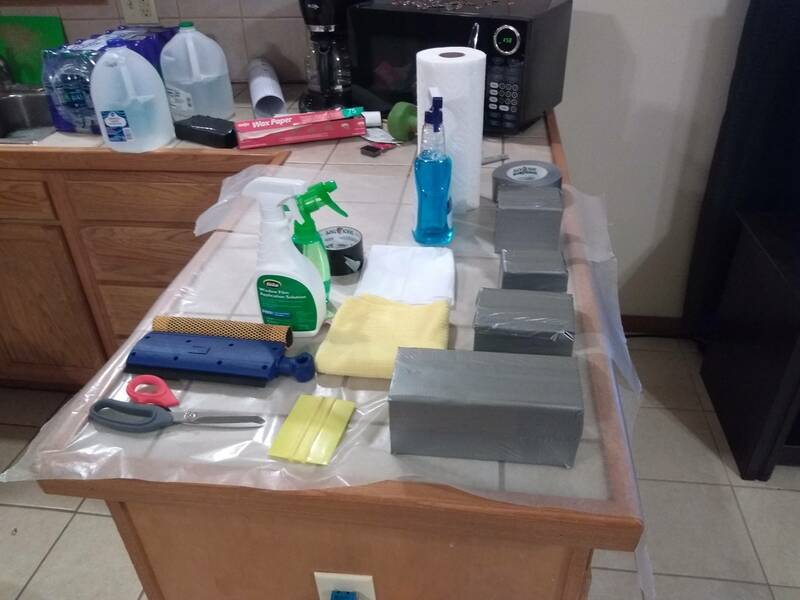 I realized that when I was cutting the film around the glass that the razor knife was digging into the particle board and probably bringing up some particles. So on this mirror I used scissors to avoid bringing up particles from the particle board. 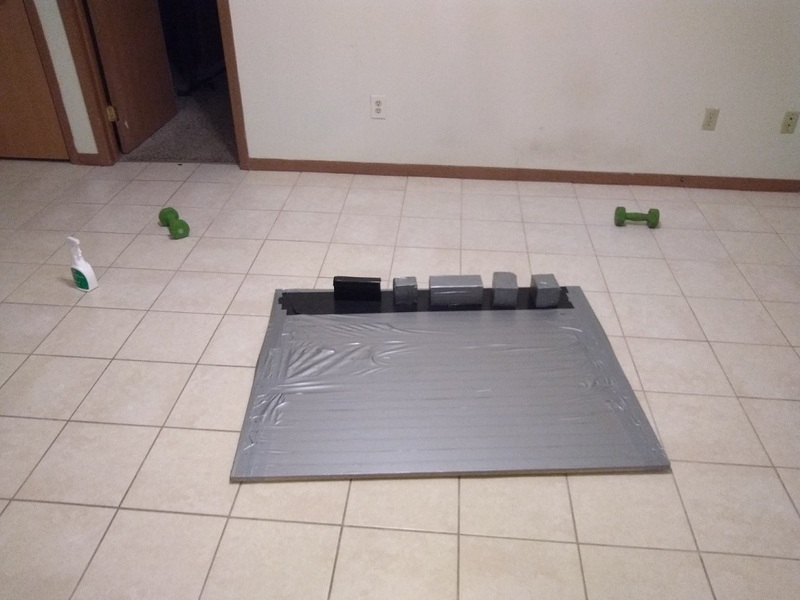 Also, if you’ll notice all my blocks are 4x4s wrapped in duct tape. 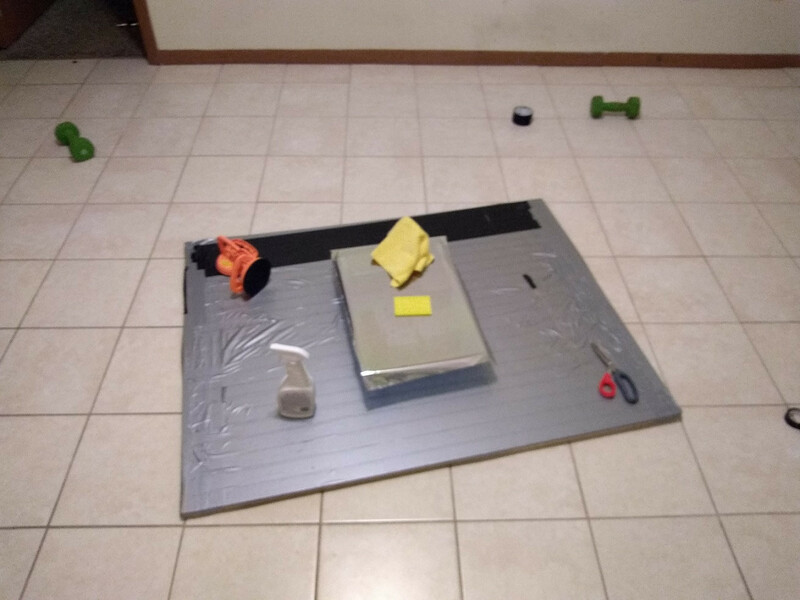 Before I began working I thoroughly swept every surface and hit the whole area with compressed air. …of course I could be attracting dust in some way that I’m not considering. IDK. I just feel REALLY bad at this. Any words of advice encouragement? btw, I have been looking on Amazon and they want a TON of money for this. 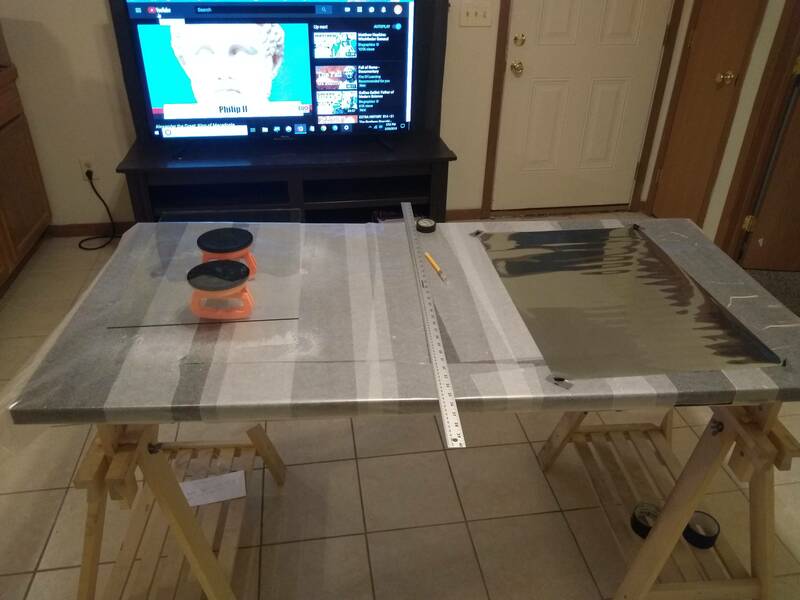 As much as $100 for a 12x24" sheet of two way glass! Of course there are cheaper options but I don't know if they look good enough. I’m basically looking for perfection. That is, no flaws or warping or discoloration at all. You know, like a mirror. From my days installing car film, I have two basic suggestions. Get off the floor. You can't work down there without dust being blown into your workpiece every time you move. Get up on a table in a room without a lot of human or pet traffic, where the air remains still. Most installations are on the window in a wall anyway. Use plenty of solution. You don't want things drying out before you have a chance to squeeze out all the air bubbles. 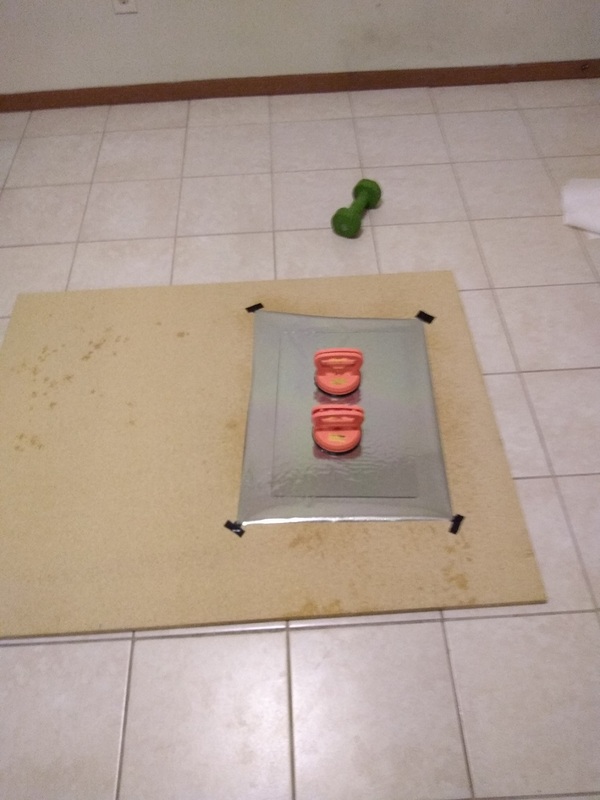 They shouldn't be difficult to move if you have things wet enough. Using more will also tend to flush out dust. Per one comment on the product page: "1/4 tsp of tear free no conditioner added baby shampoo per 1qt of water works better than the $3.97 per bottle of Gila spray." I took everyone's advice and improvised on the rest. I've got two of them drying/curing right now and I think they are going to come out well. The instructions say it takes a minimum of seven days to completely cure so I'll do a final edit then. This is how I did it. My glass was not attached to anything so I had to lay it flat. Aside from that I'm sure I'm making a lot of mistakes but this is what's gotten me the best results so far. 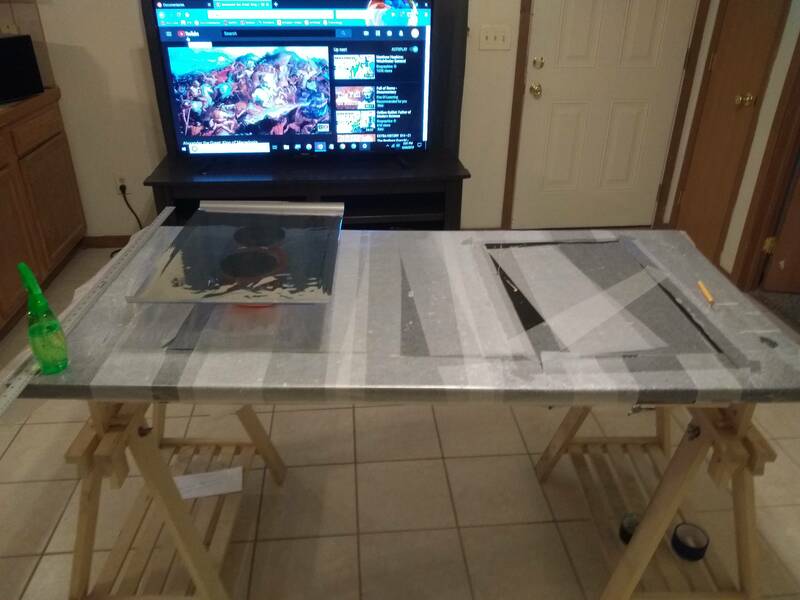 An old IKEA computer desk wrapped in wax paper. All of the tools that will be needed for the job are sitting in a semi-clean spot nearby. Separate the backing film off all four corners. 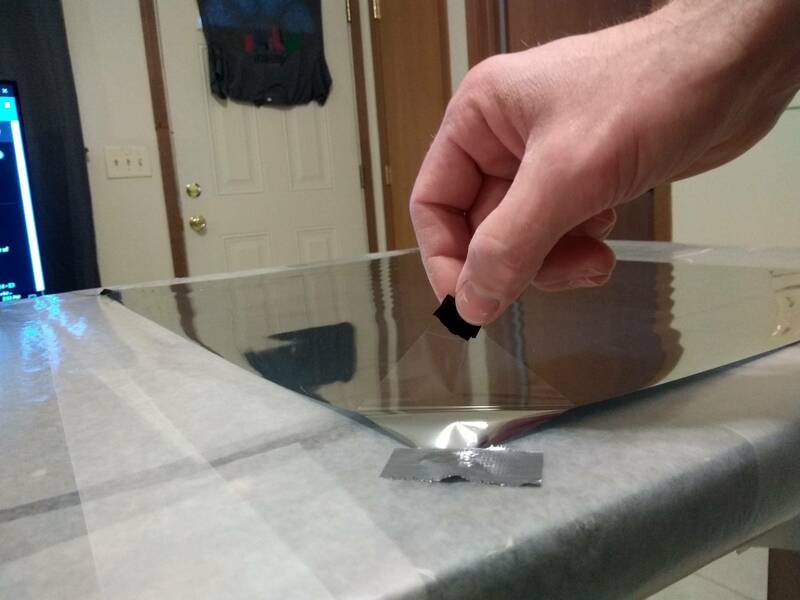 Tape the bottom layer of the film to the wax paper as best you can. First clean the glass, then remove the backing film while spraying the glass and the film with your solution (apply solution liberally). Then lift the glass using your suction cups and place it straight down onto the film. Just carefully lift it up. Most likely it will stick pretty close to the mirror. Once it's in the air flip it around and put it back on the table. Finally, put it up on some blocks (my blocks are wrapped in dukt tape so wood isn't directly against the glass). But before you do any of that make sure to open the package in the store and gently hold the film up to the light. If you see any rainbowy discolorations do not use that for a mirror. The only color you should see is silver. I emailed Gila about the rainbowy discoloration and their response was that it's hard to avoid. So I think it's fair to peek inside the package to make sure you don't blow $40 on a roll of film that won't make a good mirror. 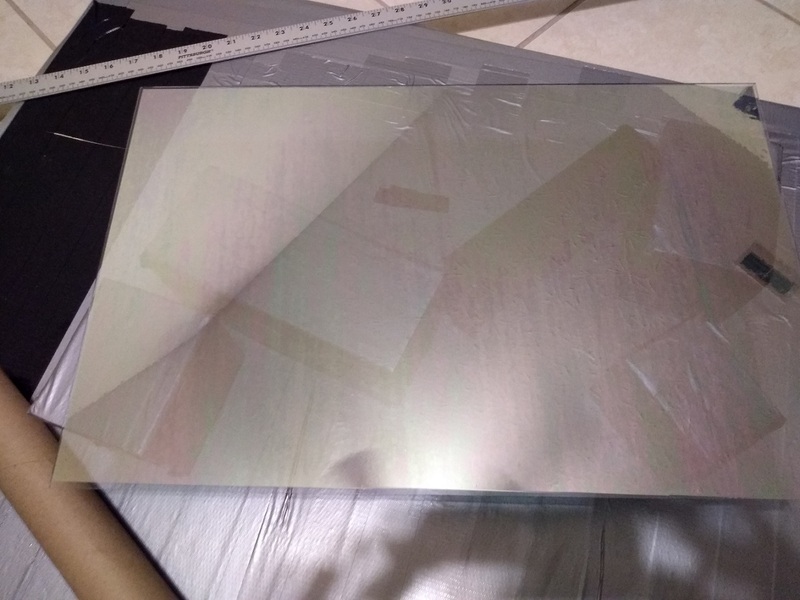 Also, I think the Gila Mirror Privacy Window Film (purlpe box) is probably better than the Platinum or Titanium window film (green box) for use as a mirror but they look pretty similar to me. Not the answer you're looking for? Browse other questions tagged windows mirror or ask your own question. What are the pros and cons of UV window film? 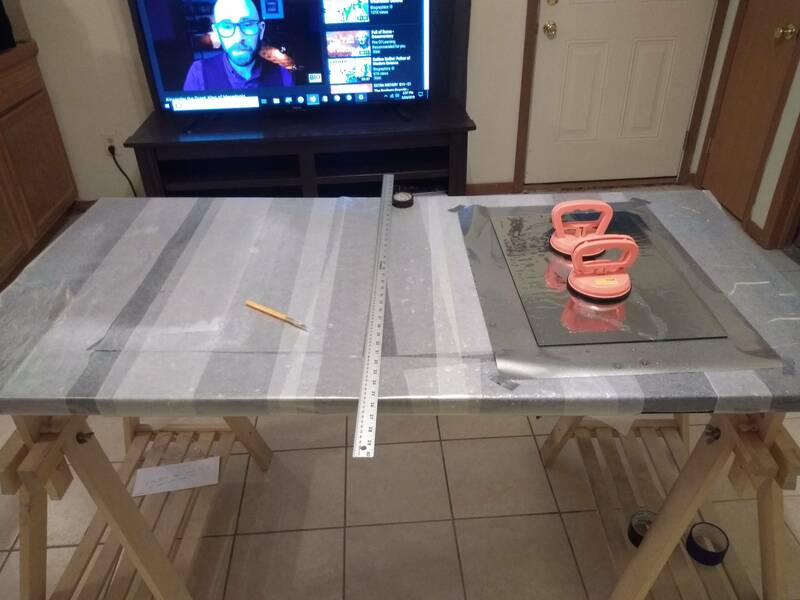 How to cover a window well seamlessly so I can project TV onto that wall? how do I turn a glass door into a removable mirror? How does one reapply window film? How can I cover a rounded window under a slanted ceiling? 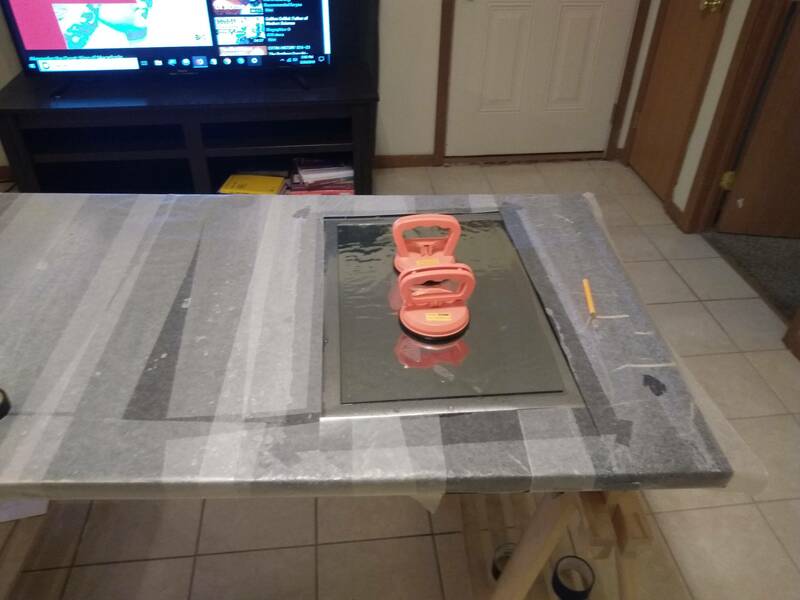 How to flash a window when using insulating boards with air barrier included?